What do I do if I have not received my order?. What do I do?. What should I do?. Discs: 1 disc(s). Duration: 115 minutes. Region: Region B. Release Date: 2017-12-26. Fast, Free & Secure posting. Check out my bundles. The Raid 2 Blu-ray (2014) Iko UwaisTitle: The Raid 2 Leading Actor: Iko Uwais Region: Region B Duration: 150 mins Format: Blu-ray / Normal Type: Blu-ray No. of Discs: 1 disc(s) Studio / Publisher: TCFHE UK Release Date: 11 Aug 2014 Edition: Normal. Product Teenage Mutant Ninja Turtles: Out of the Shadows [Blu-ray]. Expanding the Turtleverse', 'House Party', 'It's Tricky: Inside the Van', 'ILM - The Effects Beneath the Shell', 'Did You Catch That?. Get Out Blu-ray (2017) Allison WilliamsTitle: Get Out Leading Actor: Allison Williams Region: Region B Duration: 100 mins Format: Blu-ray / with Digital Download Type: Blu-ray No. 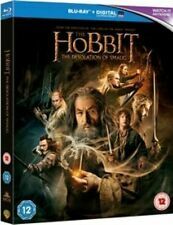 of Discs: 1 disc(s) Studio / Publisher: Universal Pictures UK Release Date: 24 Jul 2017 Edition: with Digital Download. All of our paper waste is recycled within the UK and turned into corrugated cardboard. Taken 3 [Blu-ray]. Your item will be previously owned but still in great condition. The disc will play perfectly without interruption and the case, inlay notes and sleeve may show limited signs of wear. Brad Bird directs this Disney sci-fi action feature starring George Clooney and Britt Robertson. The film also stars Hugh Laurie, Kathryn Hahn, Judy Greer and Tim McGraw. We also sponsor a local youth football team. Lucy [Blu-ray]  [Region Free]. Title:Lucy [Blu-ray]  [Region Free]. All of our paper waste is recycled within the UK and turned into corrugated cardboard. Your item will be previously owned but still in great condition. New sealed in the UK ready for despatch. 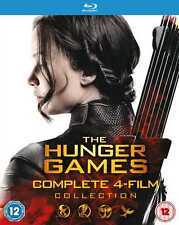 Blu-Ray Digital Download. New Sealed. tear to the corner.The other a slightly larger tear where you open. Cellophane is torn a little on each of the Blu-ray. All five films from the popular 'Die Hard' franchise starring Bruce Willis. McClane manages to evade capture, however, and sets out to rescue his wife and the other prisoners. Die Hard: 1-5 Legacy Collection Blu-Ray (2013) Bruce WillisTitle: Die Hard: 1-5 Legacy Collection Leading Actor: Bruce Willis Region: Region B Duration: 584 mins Format: Blu-ray / Box Set Type: Blu-ray No. Fast And Furious 7 (Region B & A) Blu Ray *NEW & SEALED*, FAST UK DISPATCH! Fast And Furious 7 (Region B & A) Blu Ray NEW & SEALED . 5 out of 5 stars - Fast And Furious 7 (Region B & A) Blu Ray *NEW & SEALED*, FAST UK DISPATCH! 14 product ratings14 product ratings - Fast And Furious 7 (Region B & A) Blu Ray *NEW & SEALED*, FAST UK DISPATCH! Jason Bourne Blu-Ray (2016) Matt Damon NEW Title: Jason Bourne Leading Actor: Matt Damon Region: Region B Duration: 123 mins Format: Blu-ray / Normal Type: Blu-ray No. of Discs: 1 disc(s) Studio / Publisher: Universal Pictures UK Release Date: 28 Nov 2016 Edition: Normal. Mission: Impossible - Rogue Nation Blu-Ray (2015) Tom CruiseTitle: Mission: Impossible - Rogue Nation Leading Actor: Tom Cruise Region: Region A,B,C Duration: 131 mins Format: Blu-ray / Normal Type: Blu-ray No. Sicario Blu-ray (2016) Emily BluntTitle: Sicario Leading Actor: Emily Blunt Region: Region B Duration: 121 mins Format: Blu-ray / with Digital HD UltraViolet Copy Type: Blu-ray No. Emily Blunt, Benicio del Toro and Josh Brolin star in this action thriller from director Denis Villeneuve. 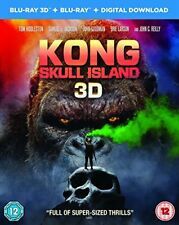 UK Release Date: 30 May 2016 Edition: with Digital HD UltraViolet Copy. London Has Fallen [Blu-ray] . Title:London Has Fallen [Blu-ray] . All of our paper waste is recycled within the UK and turned into corrugated cardboard. Your item will be previously owned but still in great condition. With help from her friends and allies, including Gale Hawthorne (Liam Hemsworth), Haymitch Abernathy (Woody Harrelson), Effie Trinket (Elizabeth Banks) and Plutarch Heavensbee (Philip Seymour Hoffman), Katniss sets out to bring down the Capitol and President Snow once and for all. The Equalizer [Blu-ray] . Title:The Equalizer [Blu-ray] . All of our paper waste is recycled within the UK and turned into corrugated cardboard. Your item will be previously owned but still in great condition. New sealed with slip case. Helen Mirren and Aaron Paul star in this British thriller centred around drone warfare. As they discuss the possible political repercussions of their actions, US drone pilot Steve Watts (Paul) discovers a little girl has entered the targeted strike zone, throwing the coalitions plans into further chaos. The cast also includes Sam Worthington, Olivia Williams, Mireille Enos, Josh Holloway and Joe Manganiello. 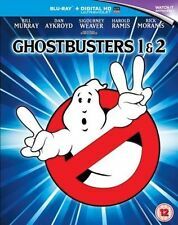 GHOSTBUSTERS 1 AND 2 - BLURAY. Condition is Like New. Dispatched with Royal Mail 2nd Class Large Letter. In the next seventy-two hours almost everyone he trusts will try to kill him. Original theatrical trailer. New high-definition presentation. Mission: Impossible - Fallout (Blu-ray Bonus Disc)  [Region Free]. Condition is New. Dispatched with Royal Mail 1st Class Large Letter. BATMAN THE DARK KNIGHT RISES STEELBOOK EDITION [BLU RAY 2012] CHRISTIAN BALE, GC. Condition is Good. Dispatched with Royal Mail 1st Class Large Letter. 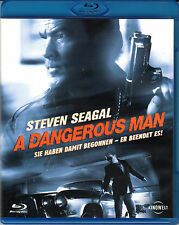 This Blu-ray is NEW & SEALED. Been in the collection a while and in very good condition. 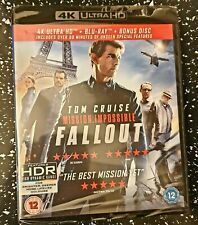 Mission: Impossible - Fallout (Blu-ray Bonus Disc) (2018). Condition is New. Dispatched with Royal Mail Signed For® 1st Class Letter. 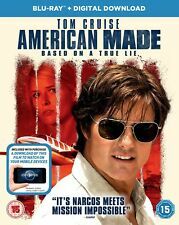 Tom Cruise reprises his role as Impossible Mission Force (IMF) agent Ethan Hunt in the fifth film of the action thriller series. Can Ethan reassemble the now-disbanded IMF team to bring down this rogue organisation before it's too late?. MISSION IMPOSSIBLE ROGUE NATION BLU RAY SPECIAL BONUS DISC WATCHED ONCE . Condition is Like New. Dispatched with Royal Mail 1st Class Large Letter.